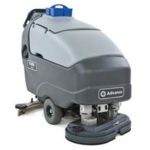 Mooney-General Paper has always been choosy about the brands we support, focusing on only the best of the best, which is why we are honored to represent Nilfisk-Advance industrial cleaning equipment. 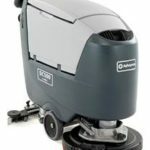 Let our products provide the absolute best service and treatment for your floors, with stunning results no matter how much use and abuse your surfaces take on a daily basis. 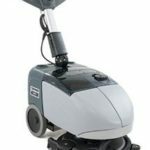 Mooney-General can provide factory authorized service and repair for all your Nilfisk vacuums. 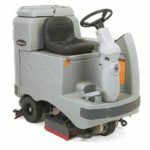 Units can be sent to us or we can provide onsite service at your facility. 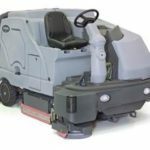 For smaller or noise-sensitive areas we offer a range of classic walk-behind sweepers like the Advance Terra 28B, with the ability to clean hard floors and carpets without changing brushes, and the battery powered SW900, a rugged industrial walk-behind sweeper perfect for factories or manufacturing plants. 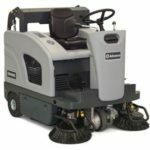 Our walk-behind powered floor scrubbers are perfect for warehouses, manufacturing plants, auto shops, grocery stores and anywhere else where removing dirt, debris, oil and grease is a priority. 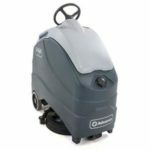 They range from the versatile battery powered Adfinity, with a 20 inch disc or cylindrical scrub head and optional EcoFlex system, to the Warrior, a heavy-duty industrial scrubber that can clean over 42,240 square feet per hour. 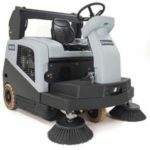 These walk-behind scrubbers are built for optimal operator comfort with ergonomic Soft-Touch paddle controls and are NFSI certified for slip and fall safety. 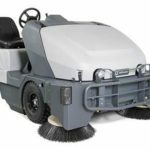 For large cleaning challenges and extended spaces we recommend Advance’s line of rider industrial sweepers, which are crafted from the highest quality materials and built to handle the wear and tear of everyday industrial use. 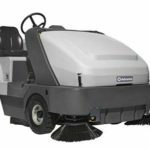 From the massive Proterra to the compact and maneuverable Terra 4300B, our rider sweepers are designed to turn your dirtiest areas into your cleanest. 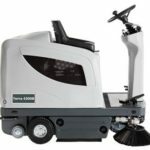 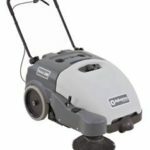 These top-of-the-line floor scrubbing machines are the ultimate combination of power and green cleaning. 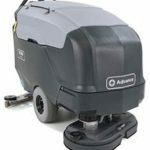 Advance products also feature a unique EcoFlex system that is designed to use fewer resources while keeping your floors sparkling clean. 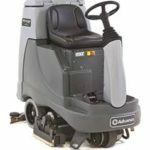 It’s better for the environment and your bottom line. 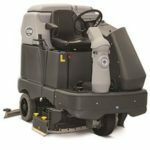 For maximum cleaning productivity, upgrade to one of Advance’s rider floor scrubbers like the SC6500, featuring a wide variety of scrub deck options and the green cleaning of EcoFlex. 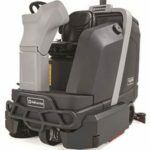 Or there’s the SC8000, a cleaning powerhouse with a 48 inch dual cylindrical deck and the ability to clean up to 95,500 square feet per hour. 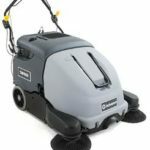 Advance commercial and industrial scrubbers are designed to provide safe, dependable cleaning that meets tomorrow’s cleaning challenges and environmental standards. 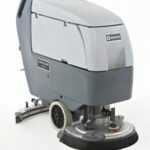 When your floors need to shine, you need Advance.